The classic Newbery Medal winner that was transformed into a beloved film. 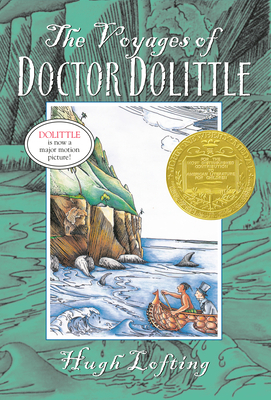 Doctor Dolittle heads for the high seas in perhaps the most amazing adventure ever experienced by man or animal! Told by 9-and-a-half-year-old Tommy Stubbins, crewman and future naturalist, Doctor Dolittle and company survive a perilous shipwreck and land on the mysterious, floating Spidermonkey Island. There he meets the Great Glass Sea Snail who holds the key to the biggest mystery of all. Hugh Lofting was born in 1886 in Maidenhead, Berkshire. His Doctor Dolittle books first appeared on paper in the form of letters to his children, Elizabeth and Colin. Lofting wrote a number of children's books besides the Dolittle series, including The Story of Mrs. Tubbs (1923), Tommy, Tilly and Mrs. Tubbs (1936), Porridge Poetry (1924), The Twilight of Magic (1930), and Gub Gub's Book (1932). Lofting also wrote one book for adults, Victory for the Slain (1942). He died in 1947 in Santa Monica, California.